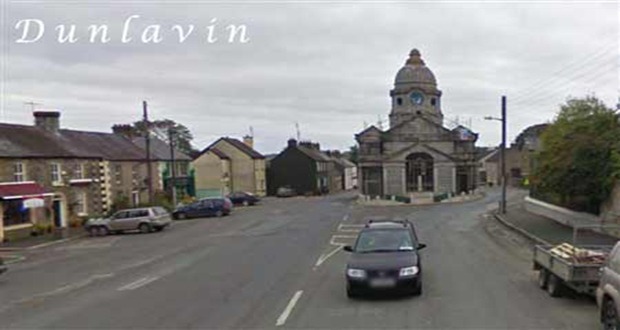 Dunlavin Advent Fair takes place in the Imaal Hall on Sunday December 7th from 10am to 4pm. Santa will arrive at 2pm. Stalls €25 each, details from Bernie at 0862872619.
on Friday 28th Nov at 8:30 pm in Donoughmore hall. Our Christmas one is Friday December 19th 8:30pm. This promises to be a great night . Great prizes and a super raffle . College Awareness Week takes place from November 24th to November 30th. This campaign aims to promote the benefits of going to college and to encourage students to be ‘college ready’. Blessington Library focusing on the younger members of our community is playing its part by hosting a story-time on Saturday 29th November at 11.30. Children of all ages are invited to come along and hear all about the adventures of ‘Trinity Teddy’ as he heads off to college. College Awareness Week is a very exciting initiative and the library is delighted be involved with it, the campaign is about getting people talking about 3rd level education and highlighting the opportunities that are out there. Further details available at www.collegeaware.ie and Blessington Library 891740. Sympathy is extended to the family of the late Christy Walsh , Oldcourt who died last week. Christy is mourned by his wife Maisie, daughter Mary, son Gerard, sister Teresa, daughter in law Carmel, son in law Gabriel, grandchildren Conor, Kate , Ellen, Lorna and Colm. Christy funeral took place in Dunlavin on Wednesday November 19th 2014. Mass was celebrated by Rev Douglas Malone and Rev Jimmy Doyle. May Christy rest in peace. Sympathy is extended to the Byrne Family, Church Hill on the death of their niece Sandra O’ Brien. Congratulations to our indoor boys and girls hurling teams who have qualified for the next round of the West Wicklow indoor games. Thanks to the parents who drove last week. Our sincere thanks to WWCVVC for their contribution of €1,700 to Solas following their car rally which was held last August. Solas has ongoing costs and this will be of great help to reduce the extra cost for this year. Many thanks to Sandra Cleary who has sorted out our transport issue for Santa. From Monday 24th to Friday 28th November donations of dog food, dog nuts or old blankets for bedding are being accepted as Carmel Spillane is doing a collection for West Wicklow SPCA. Camphill Community Grangebeg are hosting an Advent Fair on Saturday 29 November 2014 from 2pm to 5pm. Lots of Christmas Fare on display.